I was really impressed with how much this boat had to offer, she oozes character with lots of wood down below, port holes, wooden ships wheel and lots of brass, with a good sleeping layout, galley and heads, she has everything you need, with the added bonus of the cockpit enclosure you have quite a bit of space to enjoy, she would benefit from a good clean up but definitely has lots of potential, owner has bought a bigger boat and is keen to sell. 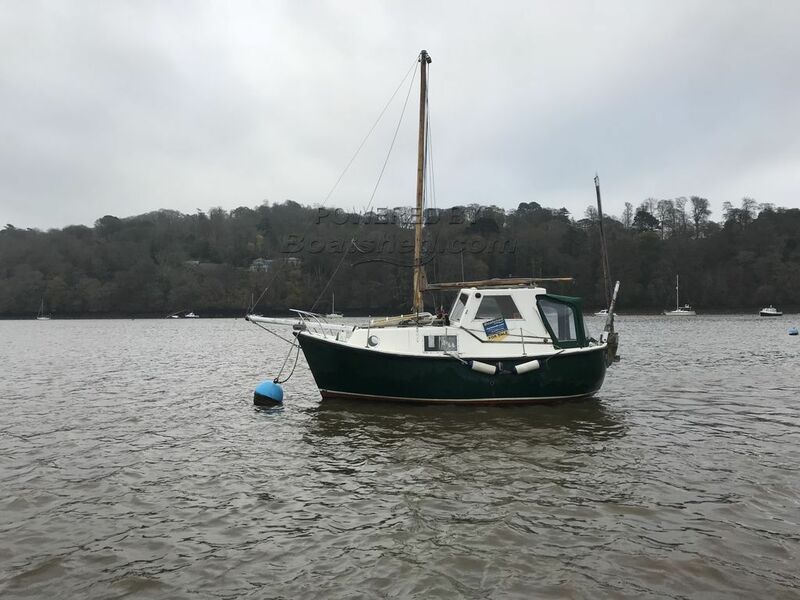 This Colvic Watson 20 has been personally photographed and viewed by Jerry Harper of Boatshed Dartmouth. Click here for contact details.